Melges 24 World Championship 2017 is in the history book for now. Thank you all for the wonderful week in Helsinki, Finland! 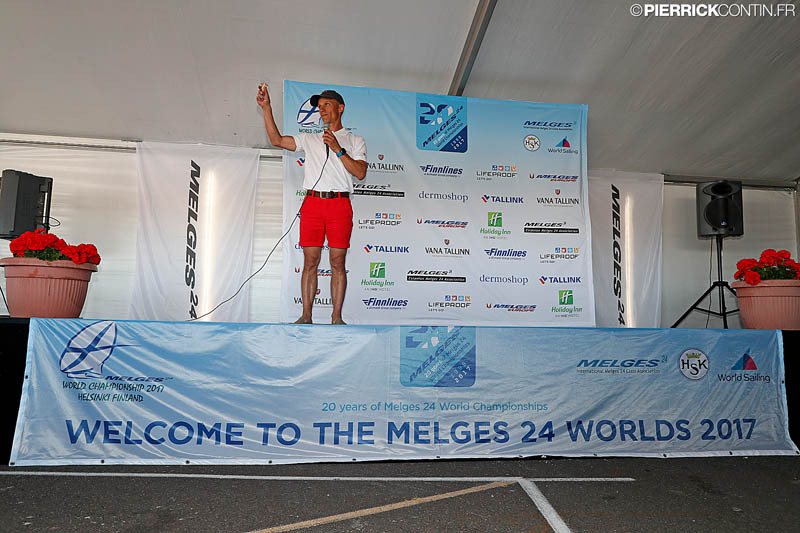 It was just a pleasure to be there with ‪‎Melges 24 big happy family! The best one-design sportboat, the best class, the best sailors! 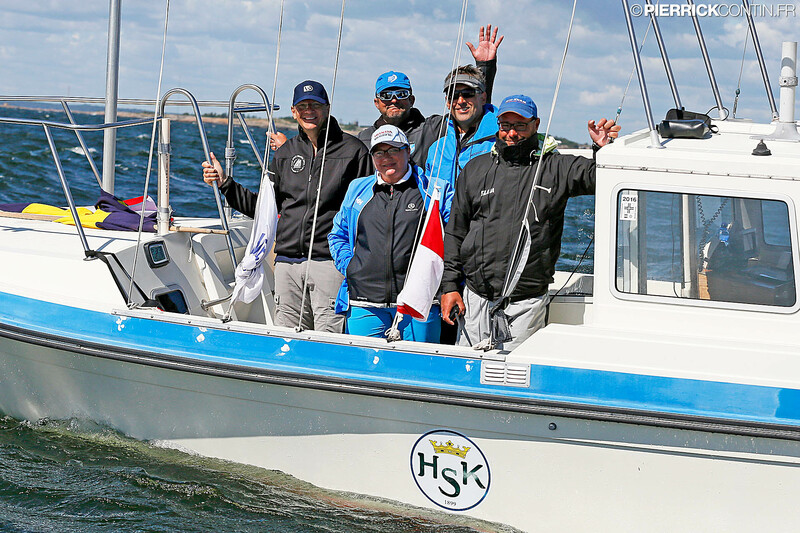 Thank you to Helsingfors Segelklubb for your wonderful hospitality as our hosts and to the Finnish Melges 24 Class Association and Tomi Hakola for all their work on our behalf and to our IM24CA team – Benedek Fluck and Piret Salmistu – for the support they give to the sailors and to our event organisers. Special thanks goes to Ted Gröndahl and Perttu Rönkkö leading this wonderful team of Helsingfors Segelklubb and a huge bunch of volunteers with all these happy smiles willing to help the sailors during this tense and long week. Big thanks to everyone involved in helping to organize the event. Jury Chair Eric Mehlbaum and his team: Arto Kiiski IJ FIN, Piero Occhetto IJ ITA, Willii Gohl IJ GER, Lars Nyqvist NJ FIN, Keke Tulomäki IJ FIN, Rick Mallinson NJ USA, Juha Lehtinen NJ FIN. Huge thanks to our media team – Zerogradinord – Mauro Melandri and Silvia Gallegati with Matteo Sprecacenere as their boat driver representing Melges Europe ; and our Official Photographer Pierrick Contin. You did an amazing job and some magic with all these images and videos and interviews! 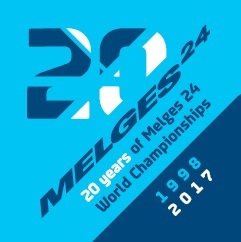 Congratulations all those who have been at the first Melges 24 Worlds in Torquay in UK 20 years ago and were still at the Worlds 2017 making the Melges 24 as a historical and epic one. 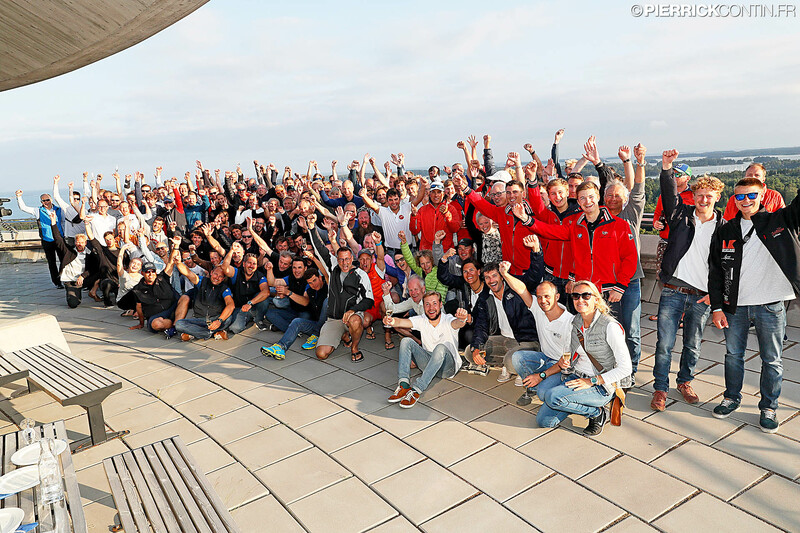 It was great to have 59 Melges 24 teams from 15 nations, especially great to see 6 US teams making an effort to come to Helsinki, helping to make this such a spectacular 20th Melges 24 World Championship! 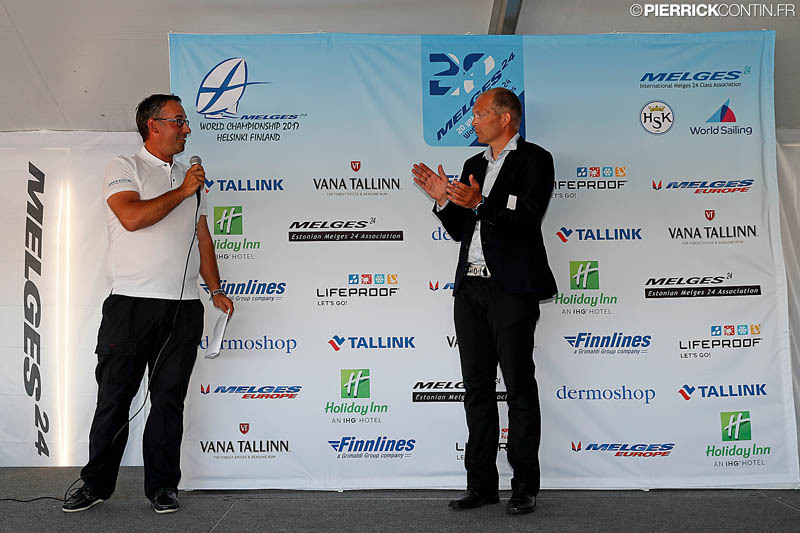 Thank you to all the sponsors for their generosity without which the event would not be the same: Melges Europe, Melges 24 Estonian Class Association, FinnLines, Tallink, Vana Tallinn, Dermoshop, LifeProof, Holiday Inn, Helsingfors Segelklubb, Blue Peter Restaurant. August 4, 2017 – Helsinki, Finland – The 20th edition of the Melges 24 World Championship just came to an end in Helsinki, with a series of eleven races that challenged the crews with weather conditions that ranged from light wind to heavy breeze and seas. After the success obtained in the Worlds of Torbole in 2012, exactly five years ago on August 4th, the couple helmsman-tactician Fracassoli-Fonda contributed to the success of Italian entry Maidollis by Gianluca Perego with also Giovanni Ferrari as a part of the 2012 winner team, and Stefano Lagi onboard. 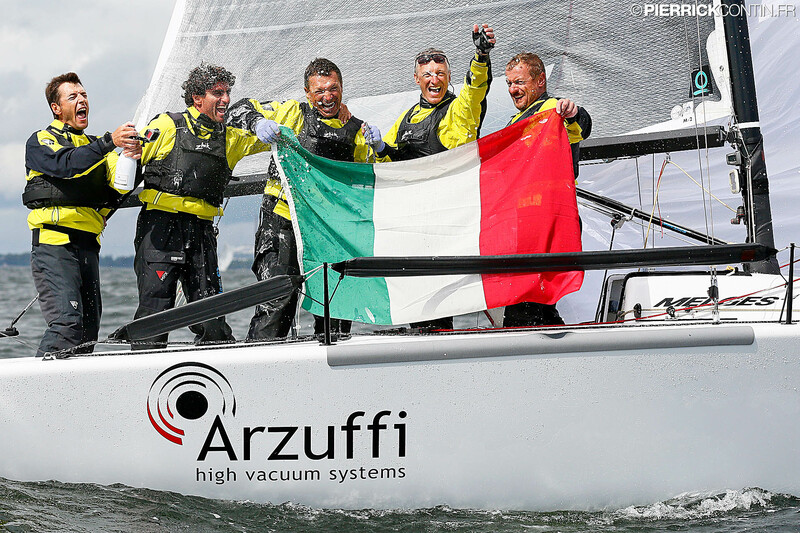 The Italian crew has been able to sail very consistent races, with placements that only once went below the 10th position: they closed the series with a total of 35 points and a margin of 23 points over the second classified. In day two of racing they also achieved a record for the Melges 24 Worlds, by winning all the races that were sailed in that day. They succeed in the gold book to the Irish Embarr by Conor Clarke, who won the penultimate edition of the Melges 24 World Championship, held in Miami in December 2016 and can hold the historical perpetual trophy of the Melges Performance Sailboats for one year. Vice-World Champion is American Monsoon by Bruce Ayres with Mike Buckley calling the tactics and Mark Ivey as a coach, which has all through the series battled to maintain a podium placement: the two bullets scored in the series helped Monsoon’s holding tight to the silver medal. The American crew is in fact followed, in the final ranking, by Kevin Welch’s Mikey, with a margin of just three points. The American entry Mikey managed to climb over Italian Andrea Racchelli’s Altea in the last day of the Championship: the crew already winner of the Melges 24 European Series, then, finished the event in fourth place, while the top-five was completed by another Italian entry, Taki 4 by Marco Zammarchi, which also received another important prize. The boat with Niccolò Bertola in helm, in fact, managed to confirm itself for the second year in a row as Melges 24 Corinthian World Champion, after the success obtained in Miami and will keep the perpetual Henri Samuel’s Trophy another year. The crew was made, as past year, by Niccolò Bertola, Giacomo Fossati, Marco Zammarchi, Matteo De Chiara, Giovanni Bannetta and Niccolò Bianchi as the coach. Silver medal in the Corinthian division goes to an historical component of the Melges 24 Class, Gill Race Team by Miles Quinton with Geoff Carveth helming. 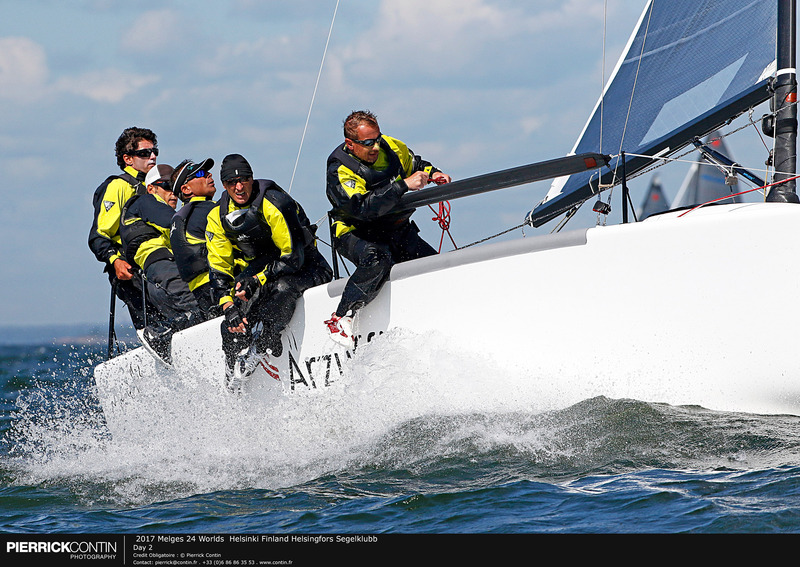 The Estonian entry Lenny by Tõnu Tõniste, already Corinthian World Champion in Melges 24, closes the 20th edition of the Melges 24 World Championship in third position. Some special prizes from North Sails and Melges Europe were awarded during the final prize giving. As the future and next generation of Melges 24 class, two 12-years-old young men were sailing on board of SWE715 and JOKER (4sale25k) FIN650 – Ludvig Meldgaard and Joel Kiiski respectively. 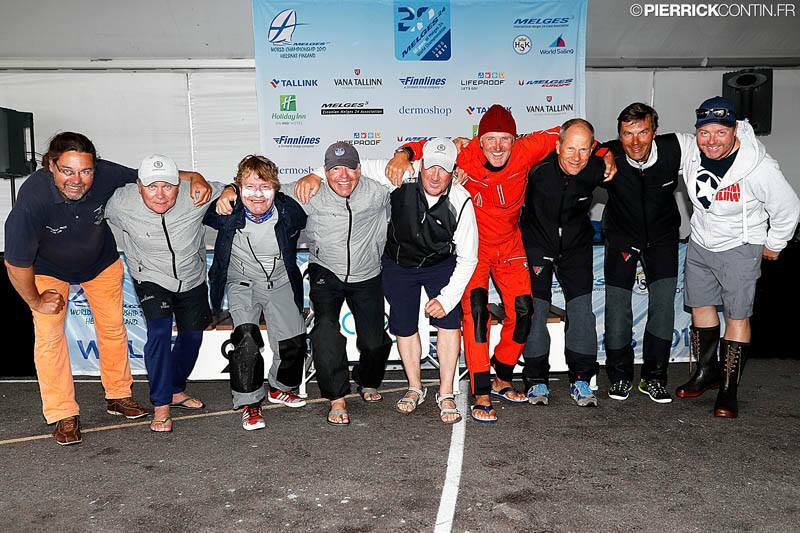 To encourage also the sailors with not so good results the prizes were awarded to the boat being on the last position on the overall ranking – Visitlohja FIN316,; to the boat being 30th in overall ranking – IMMAC SPUTNIK GER569. To highlight the 20th Melges 24 World Championship it was also good to end up on the 20th place in both rankings: in overall ranking Bo Boje Pedersen’s upupup DEN837 got a special prize from Melges Europe – GARMIN watch quatix 3 and nice additions from North Sails; in Corinthian ranking Martin Fridh’s Wild Thing SWE684 with nice presents from North Sails as well. Nice thought by North Sails also to give a special 50% discount on any Melges 24 sails to the boat which broke its sails during the event – Timj Köppe’s SLIPPERY WHEN WET GER499 was the one to decrease his expenses on new sails. To highlight the 20th Melges 24 World Championship it was also good to end up on the 20th place in both rankings: in overall ranking Bo Boje Pedersen’s upupup DEN837 got a special prize from Melges Europe – GARMIN watch quatix 3 and nice additions from North Sails. Zarco Dragonic (Cavallino USA19) Perpetual Trophy to the first time participating owner aboard with the highest results went to Domonkos Rozsnyay, the owner of FGF SAILING TEAM HUN728 ending up on the high 6th place in overall ranking. Melges Europe‘s Gift Cards to the Corinthian top teams were a nice addition to the main prizes as well. The greatest achievements of six teams in overall ranking and four teams in Corinthian rankings were also awarded with the Vana Tallinn Elegancè piece-of-art-style gift bottles. 2018 will be another busy season, too: the dates have already been announced for the first ever Melges 24 Worlds to be held in Canada – Victoria, British Columbia from May 31st to June 8th and 2018 Melges 24 Europeans, that will be hosted in Riva del Garda, Italy from August 3rd to 10th. FinnLines, Tallink, Vana Tallinn, LifeProof, Dermoshop, Melges Europe/ Helly Hansen, Estonian Melges 24 Class Association, Holiday Inn, Blue Peter Restaurant, Helsingfors Segelklubb. 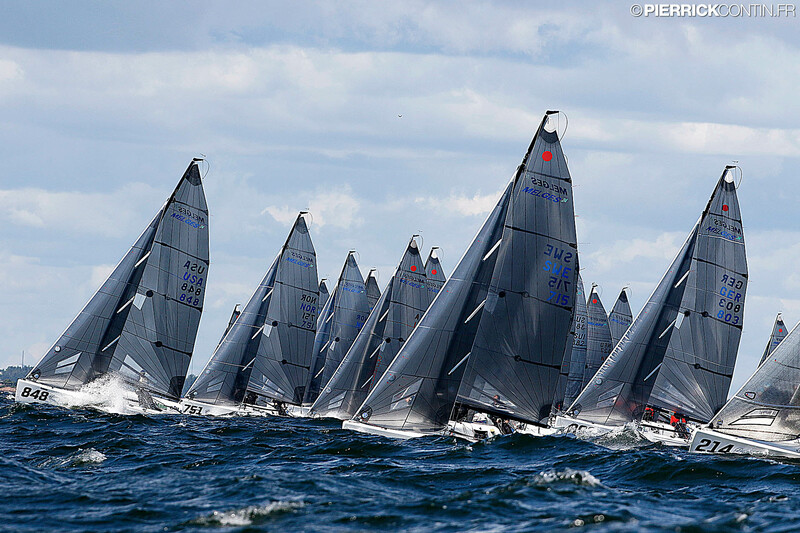 August 3, 2017 – Helsinki, Finland – Sparkling sailing, with lots of sun and waves, characterizes the fourth day of racing in Helsinki, where the 2017 Melges 24 World Championship is going to conclude tomorrow. PRO Madis Ausman and his Race Committee did an amazing job benefiting at the best from the heavy but still ideal conditions to add three more races to the championship series and bringing the total to ten. One and a half mile length and simple windward-leeward configuration created the perfect race course for an excited Melges 24 fleet. Nothing changed in the top-three of the overall ranking, with Italian entry, Luca Perego’s Maidollis ITA854 (2-6-2 today) with Carlo Fracassoli in helm, firmly maintaining the leadership with a margin of 22 points over Monsoon USA851 by Bruce Ayres (1-12-4), who scores the second bullet of its series today, and Andrea Racchelli’s Altea ITA722 (6-1-6). It is a great day also for the crew aboard Lucky Dog/Gill Race Team USA848 (3-4-1) with Travis Weisleder in helm: after an hard second day, where they had to withdraw from all three races because of the breakage of two halyards, the American entry is the most consistent boat of the day and scores three placements in the top five, climbing up from 44th to 24th position in the overall ranking. “It was great to get a little revenge on our second day’s breakdowns, but above all it was amazing to sail in these conditions: this is what the Melges 24 is made for! Sailing in the European fleet is great, and the U.S. representative is pretty wide: it’s the perfect mix for a World Championship. If you add to this the fact that here in Helsinki hospitality is amazing, we have all the elements for a World Championship that will be remembered” – declared John Bowden from Lucky Dog/Gill Race Team. The leadership doesn’t change even in the Corinthian division, where the reigning World Champions aboard Marco Zammarchi’s Taki 4 ITA778 (1-1-4) with Niccolo Bertola in helm enjoy the strong winds and increase to 13 points the margin of advantage over the main followers; which, though, are no more the Michael Tarabochia’s crew of White Room GER677 (9-7-7): the Estonian entry Lenny EST790 (4-2-1) with Tõnu Tõniste in helm, in fact, takes home extremely consistent placements today and obtains the second level of the provisional Corinthian podium instead of White Room, which slips into third. Good results also for Jens Wathne’s Party Girl NOR649 (2-3-2) that, thanks to the top-three results of today, climbs up from 11th to 4th position. Tomorrow, the curtain is going to close on the 20th edition of the Melges 24 World Championship: two more races can be sailed for the conclusion of the series, but heavy rain and shifty wind are forecasted. The final preparatory signal must be given within 2.30 pm: depending on the weather conditions, the Race Committee will decide the best finale grande of the 2017 Melges 24 World Championship. FinnLines, Tallink, Vana Tallinn, LifeProof, Dermoshop, Melges Europe/ Helly Hansen, Estonian Melges 24 Class Association, Holiday Inn. August 2, 2017 – Helsinki, Finland – Helsinki woke up with heavy rain this morning and the Melges 24 fleet, moored at Helsingfors Segelklubb, had to wait two hours for the wind to stabilize, the AP flag to go down and to start the races of day three in the 2017 Melges 24 World Championship. Two races have been sailed today, with lighter wind conditions than those experienced yesterday when after the sixth race the discard came into play. First victory of the day went to the Italian entry Altea ITA722 (1-18 today) by Andrea Racchelli, followed on the finish line by Norvegian Baghdad II NOR400 (2-24) with Kristoffer Spone in helm. Third were the current leaders of the provisional ranking aboard Luca Perego’s Maidollis ITA854 (3-20). “It has been a bizarre day for us: we sailed well in the first race, we took the right tactical choices. On board, everything worked well even in the second race but we chose the right side of the race course and the huge wind shift deeply penalized us. It’s good to be in the top three now, but we are so close to our followers, we will have to benefit at the best from the heavy wind forecasted for the next days, which we deeply like, to try to remain on a podium position” declared the helmsman of Altea, Andrea Racchelli, also President of the Melges 24 Italian Class, who will be in charge, together with International Melges 24 Class Association, of the organization of the next Melges 24 Europeans, scheduled for August 3-10, 2018 in Riva del Garda. The second race of the day, number seven of the series, is the one that brings more surprises in the ranking: a big wind shift to the left in the first upwind leg penalizes the group that was racing on the right side of the race course: in these group, there was a great portion of crews currently occupying top-ranking positions. The victory goes to John Brown’s Blind Squirrel USA547 (9-1) that, with this result, scores the first bullet of the series, followed by Slam & Blow NOR787 (30-2) with Peder Nergaard in helm and American entry Mikey USA838 (19-3) by Kevin Welch. Marco Zammarchi’s Taki 4 ITA778 (7-20) with Niccolo Bertola in helm maintains the leadership of the Corinthian division. Marco Zammarchi’s Taki 4 ITA778 (7-20) with Niccolo Bertola in helm maintains the leadership of the Corinthian division, where the bullets of today were both scored by Luis Tarabochia’s White Room GER677 (1-1), that now follows the reigning World Champions in the Corinthian ranking with a margin of 11 points. Third place is occupied by Estonian entry Lenny EST790 (2-21) with past Olympians Tõniste twins aboard, just one point behind White Room. 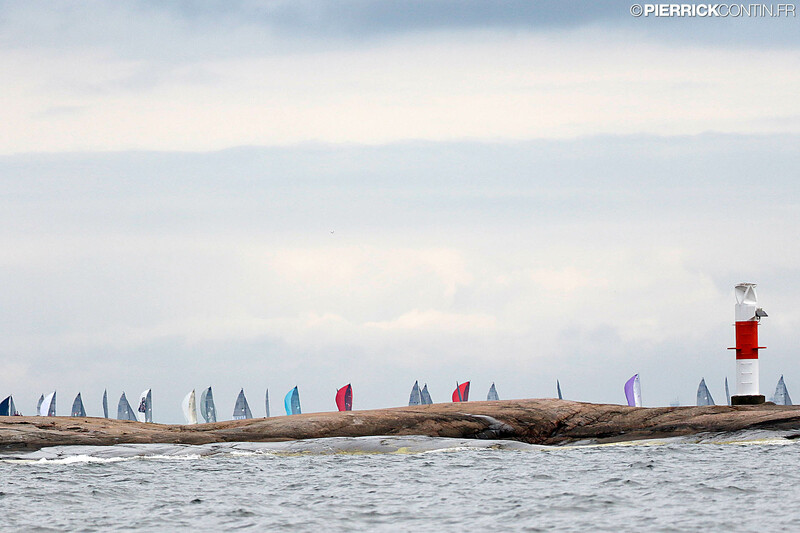 Tomorrow, penultimate day of racing in Helsinki, sun and heavy breeze are forecasted: first warning signal is scheduled for 11.00 and the Race Committee will have the possibility to launch up to three races. Due to the postponement of the racing today, the organizers have postponed also the Regatta Dinner to start at 7 pm instead of 6 pm as scheduled before. 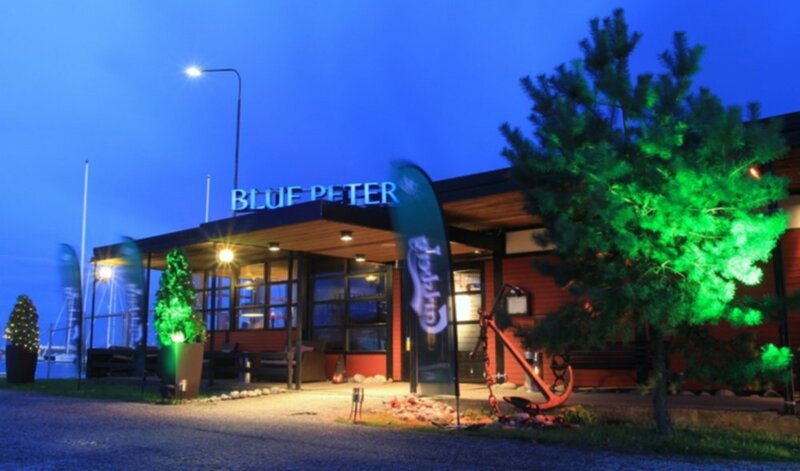 Regatta Dinner will be held in the restaurant Blue Peter in the marina. 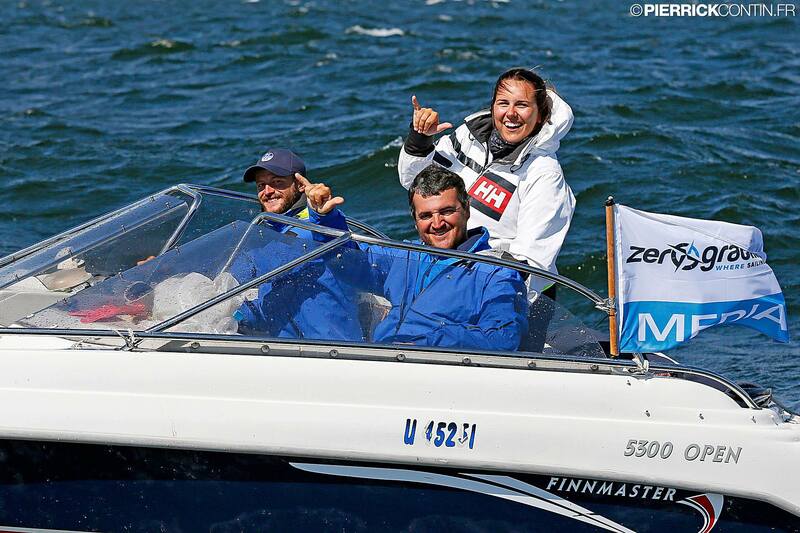 August 1, 2017 – Helsinki, Finland – Drastically different weather conditions from those experienced yesterday took the fleet to the race course in the second day of racing in Helsinki, where the Melges 24 World Championship, organized by International Melges 24 Class Association together with the Finnish Melges 24 Class Association and hosted by the Helsingfors Segelklubb, will last until Friday, August 4th. A steady breeze up to 15 knots, together with choppy sea and short waves, allowed the conclusion of three races that bring to five the total of the series up to today. There is no doubt those are the favorite conditions for the Italian crew of Maidollis ITA854 (1-1-1 today), that finds its rhythm and scores three bullets, without leaving any room for competitors. Bruce Ayres’ Monsoon USA851 (2-22-6), leader of the provisional ranking after the first day of racing, slips today in to the second position, where it is followed by another Italian entry, Taki 4 ITA778. The reigning World Champion crew by Marco Zammarchi with Niccolò Bertola in helm (6-2-8/1-1-3 Corinthian) scores all placements in the top ten today, climbing up to third place in overall ranking and above all, obtaining the leadership of the Corinthian division, held by Barmaley until yesterday. Back to the moorings, Giacomo Fossati, tactician of Taki 4, commented: “We are extremely satisfied with the development of today. We’ve been working a lot since the Worlds in Miami and for sure we are here to defend the title, but this time we are also focused on the overall ranking. Being on a top-three position is very exciting for us, we will have to fight hard to maintain the positioning and reach our objectives”. The top three of the Corinthian podium is completed by Estonian entry Lenny EST790 (13-11-12/3-5-5) that, despite a damage to the gennaker, still managed to conclude the racing of the day in enviable positions, and by MAS Wolfpack NOR724 (16-8-4/4-2-2) helmed by Jon Aksel Mortensen. Today’s race winners will be awarded by the prizes of Melges Europe, LifeProof and Vana Tallinn. Tomorrow, central day of the 2017 Melges 24 World Championship, three more races should be sailed to keep shaping the final ranking. The first preparatory signal is again scheduled for 11.00am. Despite the light wind conditions, the Race Committee presided by PRO Madis Ausman managed to make the fleet complete two races. The challenge immediately begun: the first victory of the series went to the Italian entry Altea (1-22 today) by Andrea Racchelli, second in the Worlds of Middlefart and winner of the 2016 Melges 24 European Sailing Series. The Italian boat, though, because of a 22nd place obtained in race number two, couldn’t maintain the leadership of the provisional ranking, slipping in sixth place overall after the first two races of the series. Third place in the overall ranking goes to Ukrainian Vasyl Gureyev’s Barmaley (9-9 overall/3-3 Corinthian) that, thanks to the consistent placements of today, takes the provisional lead also in the Corinthian division. The top-three of the category reserved to non-professional sailors is completed by the reigning World Champions aboard Marco Zammarchi’s Taki 4 with Niccolò Bertola in helm (11-13/4-5) and Dutch Team Kesbeke/Sika/Gill with Ronald Veraar helming (7-17/1-9). 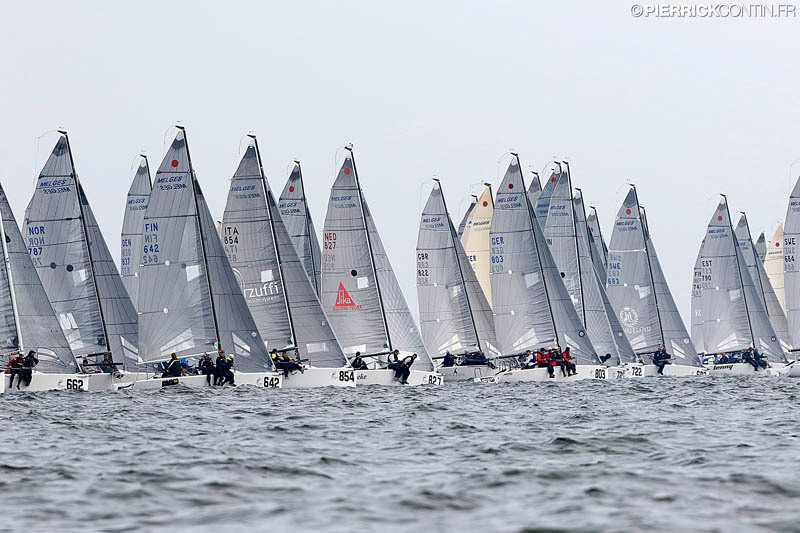 Taki 4 with Niccolò Bertola in helm (11-13/4-5) and Dutch Team Kesbeke/Sika/Gill with Ronald Veraar helming (7-17/1-9). 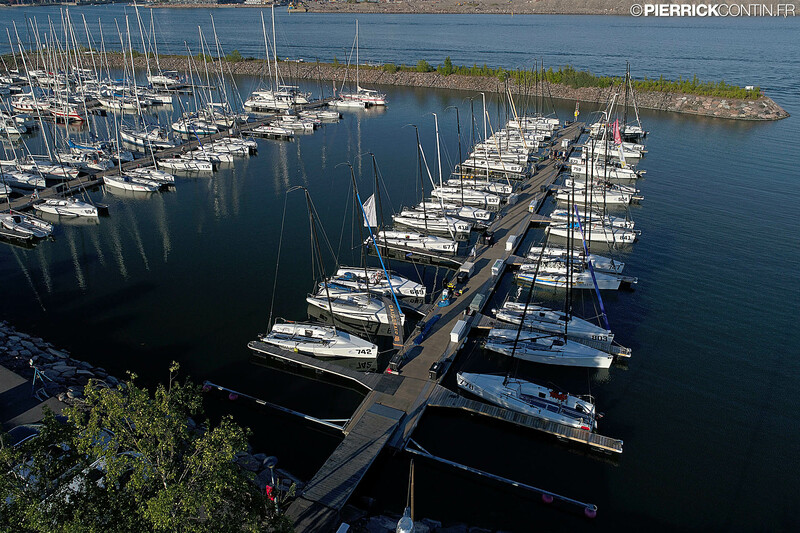 Tomorrow, second day of racing in the waters of Helsinki, the Race Committee will call the fleet on the race course for a first start at 11:00 am. Weather forecasts expect sunnier and windier conditions than those we had today.